It's been a long time since I've read any Christian fiction, and make no mistake, that's what this book is (if the publishing house didn't give it away in the first place). Years ago, the genre seemed to be swarming with either delicate-yet-forbidden romances, or stories about great evil and the people who fight against it (and also probably fall in love and get married while they're at it). So I was impressed with the choice to delve into science-fiction with Replication. I started reading the book expecting the worst, but was pleasantly surprised with it, in the end. The whole book does a great job of fusing science with belief. Abby is a strong believer but also loves science and hopes to go to college to study forensic science. It's an interesting challenge to the stereotype of devoutly religious people being anti-science. I like that it supported the idea that you can be a person in a certain field but still be a person of faith at the same time. The book doesn't hold back from Abby sharing the Gospel with Martyr, who wants to know more about his purpose in life, or with her non-believer father. The scenes where she's telling Martyr about God are pretty touching and realistic. Martyr was a great character. He's lived his entire life in isolation, in the tightly controlled environment of Jason Farms, so things change very rapidly for him once he escapes. He gets excited at the sight of an orange tie, because he had never seen that color before. A lot of his scenes involve him learning new words and concepts, or learning how the way the real world works, from television to dolphins, apartments to pregnancy. His innocence was very endearing, and I was definitely rooting for him the whole time. Many of my problems with this book came from the fact that I simply am not the target audience for this genre. I mean, the book name-checks Sarah Palin and calls a character a liberal extremist because he agrees with stem-cell research, among other things. The "liberal extremist" is also a creepy sexist jerk who corners Abby, gets in her personal space without permission, tries to kiss her, and pretty much stalks her the whole time. It's like the author went out of her way to make him an extremely unlikeable character. The people who are in favor of cloning are so outlandish and evil that it shuts down any possible arguments about moderation. If that's your thing, awesome, and you will probably have less moments than I did where I needed to step away before I got into an argument with a book. 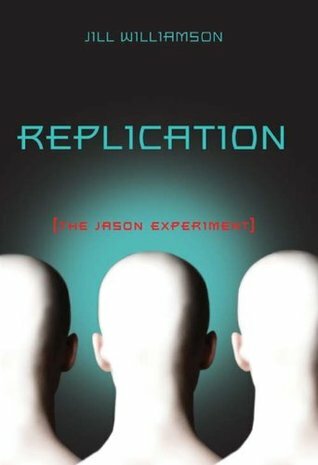 If it's not your thing but you can check your own assumptions and such at the door, I think Replication is worth checking out even just for the interesting world-building around the way of life at Jason Farms. The book raises a lot of interesting moral and ethical questions that are worth thinking about, regardless of which side of the fence you fall on with this issue.